It’s that time of year again, and thank goodness! The warm weather is back, the sun is shining, and the days are getting longer. What a long, cold, and dark winter it was. 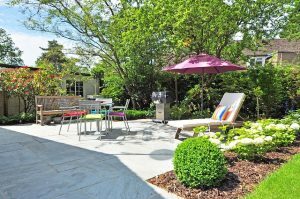 Every year as spring comes around it seems like we’re instinctually awakened to the same routine – get outside and get the yard ready for the wonderful weather that is to come. If you did your literal “home work” in the fall, you should have gotten rid of the bulk of the leaves from the end of the season and either composted them or had them hauled off with the yard waste. Usually though there are some stragglers to clean up in the spring, particularly around the bases of the trees and bushes and in the corner of the garden. It’s understandable – the main concern in the fall is to get the leaves up off the lawn. There is even potentially some benefit to leaving leaves around bushes and trees for the winter as a protective layer. Now that we’re trying to get the yard looking nice, it’s time to do the final clean and get rid of all of those leaves. While you’re at it, you’ll notice that many of the plants that died off will leave behind yellow or brown leaves. Now is your opportunity to cut those back as well. Not only will it look cleaner, but it will make room for the foliage to grow back in full strength this season. Once your garden beds are clean you’ll want to give them a face lift with a nice fresh helping of mulch. There are many types of mulch out there, and really what ends up being most important is the color of the mulch you choose. You want it to go well with the color scheme of your home, garden, and landscaping. Be wary of cheap knock-offs that use dyes to get their color. The dye will run off after the first heavy rain. Stick with mulch from trees like cedar, hemlock, or redwood (unless of course you find something a little less common that is suitable). You’re going to need a lot of mulch in many cases, so it’s worth considering buying in bulk. You’ll want to put down layers 2-3″ thick at a minimum, and 4″ is preferred. Leave a little space where the trunks of your bushes meet the ground so that they can breath. Make sure you wear gloves when you’re spreading, as the mulch can really irritate your skin in some cases. The finishing touch in terms of landscaping is to make sure your stonework is back in perfect order. The orientation and layout may have slipped over the winter, with all the snowfall and ice formation that happens. Not to mention any accidental movements caused by human fault when you’re trying to clear snow or move around a snowblower. Get the rocks in place so that they look just right in terms of orientation. You’ll also notice that your rocks aren’t necessarily the cleanest after a serious snow melt. The surfaces can become dull and covered with a layer of dirt, this is quite commonplace in fact. The best way to take care of this is to give them a once-over with a pressure washer. You may already have one after reading our last post, but if you are still in need you can check out TBEPW’s guide. You don’t want to use any detergent for this step as it can be harmful to the plants in your garden, and it can be incredibly difficult to wash out of the soil if you do. So, young Padwan, do you think you have what it takes? The time to get your yard sparkling clean is now. Will you rise to the occasion? Or will you fall to the wayside? Your yard’s fate is in your hands. 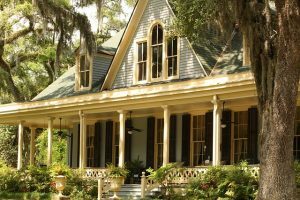 Although vinyl siding requires much less maintenance than other building material types, it still needs some attention to look its best. 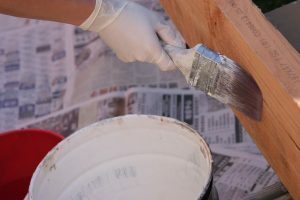 Over time, the siding can become discolored with dust, dirt from gardening beds, bird and insect waste, and even mildew and mold. A pressure washer is an obvious choice for cleaning it, as no one wants to get out a scrub brush and a bucket of water to clean their whole house. Before you start spraying, however, take the time to learn the proper way to clean vinyl siding with a pressure washer safely and without damaging anything on your home or landscaping. Pressure washing cracked, indented, or loose siding or trim is a recipe for damage. The high pressure of the water coming out of the tube can knock off loose caulking around windows and force moisture through cracks into your home. 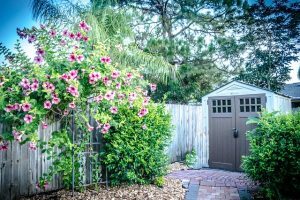 Also, take a close look at the plants and landscape accents in the area you want to pressure wash. Cover them with tarps so no damage occurs. Also cover electrical outlets, hose attachments, and lighting fixtures carefully. Both electric and gas-powered washers exist with varying strengths. The type you choose depends on the size and height of your house and what you feel comfortable using. The choice of detergent is important for the end result, too. Use only those soaps specifically formulated for use on vinyl siding and with the machine you select. Just as you wash anything else, the first step is getting the soap or detergent onto the surfaces. Use lower pressure and sweep the wand back and forth smoothly to cover all the vinyl siding with the soap. Then, wait a while for the soaps to work on the dirt and grime accumulated over the months or years. Some pressure washers come with a scrubbing brush attachment to help you remove tough grime or stains. Before rinsing off all the detergent, use this brush to loosen up stuck-on dirt. They push out soap in a foamy consistency as you use them for even greater cleaning power. There are even brushes that rotate for more power and less tiring arm-work. After the soap works for up to 10 minutes, it is time to use the pressure washer to remove it and the accumulated dirt. This is usually done with higher pressure than the soaping step. Start with less, however, until you get used to how things work. Do not spray straight at the surface. Instead, stand at an angle and keep the end about two or three feet away from the vinyl siding. Spray downward as much as possible instead of up under the vinyl planks. Not only will this help you clean the siding without a risk of damage, but it will also prevent spray back directly at you. Use a ladder for the upper floors so you do not spray water under the siding where it can cause mold or damage to the structure of the house. Congratulations! You have now cleaned your vinyl siding with a pressure washer successfully. The siding will dry naturally on a sunny day. However, take a look around the house carefully to check for puddles or trapped water anywhere that can cause problems. Finally, put the tarps away and unwrap the outlets and light fixtures to enjoy your house looking almost as good as new. Many homes are constructed with a built-in fireplace, and this feature can easily add charm and personality to the space. A fireplace may also be used to generate warmth throughout the cold weather season, and it may be a focal point for décor in the room. If your home has not been constructed with a fireplace, you can still enjoy all of the spectacular benefits that this feature can provide. Rather than endure the expense and stress associated with adding this major component to your living room as a fixed feature during your remodeling project, you can choose an electric fireplace as an affordable alternative. These are plug-in features that have the look of a real fireplace. They may produce heat and have the realistic effect of flames. If you have decided to install an electric fireplace in your remodeled living room, these tips can help you to choose the right model to purchase. Before you can select a new electric fireplace to install in your living room, you need to choose the area where you intend to place it. This step is essential because the location may limit the size of the feature that you select. It may also limit the style that you choose. For example, if you have a smaller living room, you may discover that you need to purchase a combination feature that combines an electric fireplace with an entertainment center or bookshelf. If you have a larger space, you may purchase an elaborately decorative fireplace with a full mantel design. Electric fireplaces are available in a wide range of sizes, and they vary based on length, width and height. When you are measuring the available space in your living room, remember to leave ample space around the feature to accommodate flow of traffic through the room. In addition, because this feature may produce a substantial amount of heat, it is not advisable to place some items next to it. Ensure that you leave a reasonable perimeter around the electric fireplace on all sides. Your remodeled living room likely has impressive style that is appealing to you and that is reflective of your personality in some way. An electric fireplace can become a major focal point in the room. Because of this, its style should perfectly accentuate the interior design elements in your space. Some electric fireplaces have a mantel façade that gives them the look of a real built-in fireplace. Others have a pedestal or box-like design that clearly makes them look like new additions to the space. Remember that some electric fireplaces also serve a functional purpose because of their dual purpose as furniture. For example, you may find an entertainment center that can hold your electronics and that also has an electric fireplace component. The style and finish of the fireplace should be reviewed carefully before you finalize your buying decision. Some homeowners prefer that their electric fireplace looks exactly like a wood-burning or gas-powered fireplace. They want the logs to have a realistic look, including with red, glowing embers below it. If this is important to you, pay attention to the appearance of the logs and the flame. Most flames burn with blue, yellow and orange hues, so the most realistic electric fireplace will also have these colors in the flame. It may be difficult to accurately determine how realistic the flame appears to be through online images. Consider reading reviews to gather more information about this important factor. One additional feature to focus on when you are purchasing an electric fireplace is the controls. Many more affordable electric fireplaces have a push-button ignitor on the side of the unit, and they light up in the same way that a backyard grill may. More modern electric fireplaces may have a connection that allows you to flip them on and off via a light switch on the wall. Some even have a remote control feature, and this makes it truly easy to adjust the settings on the fire without having to get up out of your cozy spot on the couch. 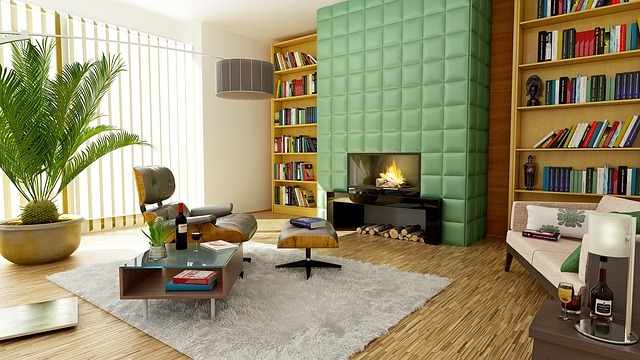 Your remodeled living room would not be complete without a beautiful fireplace located in a central area of the space. Even if your home was not originally constructed with a built-in fireplace, other options are available. Use these tips to select a lovely electric fireplace that may be a cherished addition to your room. Once hearing is lost, it can never be restored. No matter what age you are, hearing loss has the potential to profoundly affect every area of your life. Most people associate losing their hearing with growing older. While this can and does occur, a 60-year old can easily have better hearing than a 25-year old. You may wonder how this is possible. Many teens and those in their early twenties feel their physical attributes are endless and invincible. Thanks to ear buds and a penchant for loud music nearly one out of five teens has some hearing loss. Damage to your ears can occur with exposure to one loud event, although it commonly is a cumulative effect. Meaning months or years of exposure to loud noise builds up, gradually leading to hearing problems. If you’re going to be listening to music on the job – and for safety’s sake, even if you’re not – consider your options and go for closed-back headphones to reduce your risk of hearing loss. Many people assume there is little they can do to avoid the cumulative effects a noisy environment has on the ears. Far more damaging than ear buds and loud music, industrial-related noise is the leading cause of hearing loss and impairment. Your job may damage your ears in ways that will not necessarily show itself immediately. Often, decades go by before the true extent of job-related hearing loss is noticed and measured. Ear buds, open-backed headphones and other popular ear devices are discreet and appropriate for some situations. However, when you work around machinery, outdoor tools like jackhammers and leaf blowers, construction equipment and other tools that make varying degrees of noise, there is only one headphone that works to help you keep your hearing in good shape. Closed-back headphones are your best option to decrease to noise that causes hearing loss. Sounds Known to Damage Ears as Opposed to Normal Sounds. When your ears get exposed to over 85 decibels, you run the risk of damaging the fine hairs within your ear that regulate hearing. Wearing closed-back headphone when operating a chainsaw greatly lessens you risk of harming your ears. If you choose not to wear headphones while using a chainsaw, expect to experience hearing loss after about 15 minutes. Here is a list of noise-makers that lurk in the background, hoping to catch your ears without protection. Tractors are least offensive as they emit just slightly over the 85-decibel cutoff. Next, running a table saw or operating a combine both hit about 90 decibels. A hand drill produces about 95 decibels of noise. Working around a circular saw really starts to see loud sounds accruing over 105 decibels. Rock bands average nearly 125 decibels and chain saws are just over that amount. 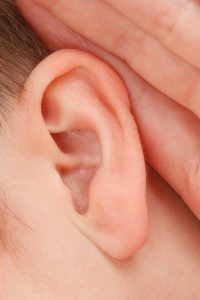 Gun fire registers at 150 decibels or above and can instantly cause noticeable, severe hearing loss in one or both ears. Firecrackers and explosions fall within the same range. A refrigerator humming might produce 45 sound decibels and a normal conversation registers about 60 decibels. Heavy city noise runs around 85 decibels. Remember, 85 decibels begin the point hearing loss begins. Motorcycles emit 95 decibels, running your MP3 player at maximum sound throws 105 decibels directly into your ears. Sirens run at a decibel level of 120. The length of time your exposure occurs as well as how close you are to the offending sound plays big factors in the extent of your hearing loss. Wearing closed-back headphones in situations where you know the decibel level will exceed 85 is your best, and often only, defense. Unfortunately, unexpected loud bursts of noise cannot always be anticipated and thus, avoided. If you do to the gun range closed-back headphones are standard equipment. However, you may be within a few feet of someone deciding it would be clever to set a firecracker off right near you. When you are not at work or being in a social setting, naturally you are not prepared for exposure to loud noise. The best you can do to protect your hearing is wearing closed-back headphones at work, while performing hobbies, doing landscaping or renovating your home. If you are planning on remodeling your master bathroom, there are many variables to consider. Every bathroom project is different and every contractor works differently. However, there are some basic steps that will divide the entire project into small sequences to help you eventually reach the result. The below information will walk you through these steps that are spread over the course of 6 weeks. 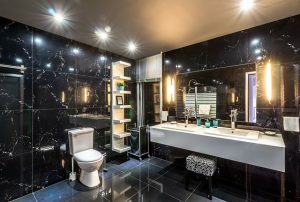 In order to remodel a bathroom – whether it is the size of an apartment walk-in closet or a spacious living room – the first and foremost thing to do is make the decision to remodel. What are the problems that need to be handled in an existing bathroom space and what are the goals involved? Gather trends as much as possible and determine the one that suits your needs and budget. Obtain financing if you cannot afford to pay out of your pocket. Also, make sure to collect information about various contractors in your local area and if possible arrange an interview with each one of them. Select the best contractor available. After you have completed the above mentioned tasks, it is time to make a complete walk-through of the existing space. Ask contractors as many questions as possible and get answers to all of them before laying the foundation for your project. Again, make sure that the project is feasible within the budget. Here, you will discuss with the contractor about materials, equipment, tools, presentation of drawings and other project specifications. You will be discussing various options that are available and sign the design agreement as well. The week 2 and week 3 tasks can be combined if time permits. Additionally, this is the time to review complete drawings, notes and clarify any doubts about the intent of the project. You will be selecting products for the bathroom, signing the construction contract and making the first down-payment during this phase. Most contractors will make sure that your project has required permits to move forward with the remodeling. After permits are obtained, it is time to finalize the project schedule and distribute it. Order products, discuss the impact of your project with other family members and keep them as well as pets safe, preferably out of the workplace. Remove any personal belongings that is blocking the pathway or remodeling site. Complete the demolition, framing, installing drywall, cabinetry, fixtures and much else during this and the following week. This is the week where you give the final touch to the detail. Inspect the ongoing job and establish a list of tasks with ultimate details to ensure that the project is completed to your satisfaction. Always keep your eye on the goal and know that you are taking part in an adventure that will add value to your property. Finally, make a completion payment to the contractor. Keep in mind that the above time span is just an estimation. It may be longer or shorter depending on the size of your bathroom and the scope of your project. 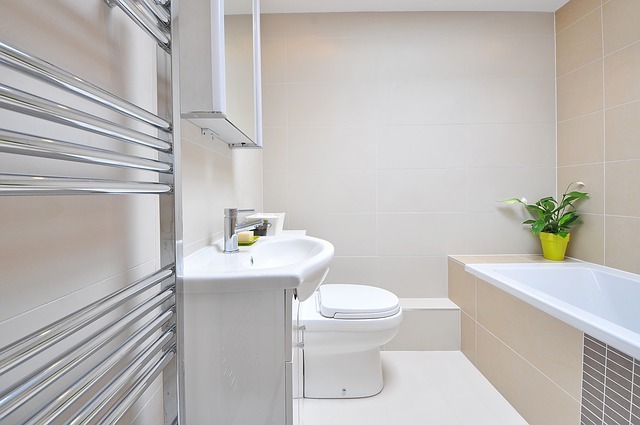 Last but not least, a well-designed bathroom can go a long way in improving your health and lifestyle. In order to make your bathroom everything you want it to be, it is essential that you learn the process of remodeling in detail. 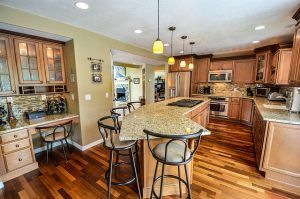 Although you are not the one doing the job, knowledge of what goes in a typical remodeling project will not only save you time and money, but make you prepared for your future home projects. Major home renovations are often extensive and time consuming and require a significant effort by a homeowner throughout the process. 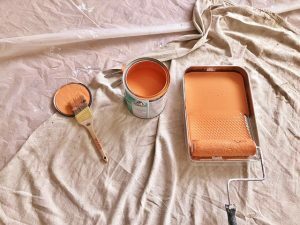 One of the most challenging parts of a major home renovation is simply getting started with it. 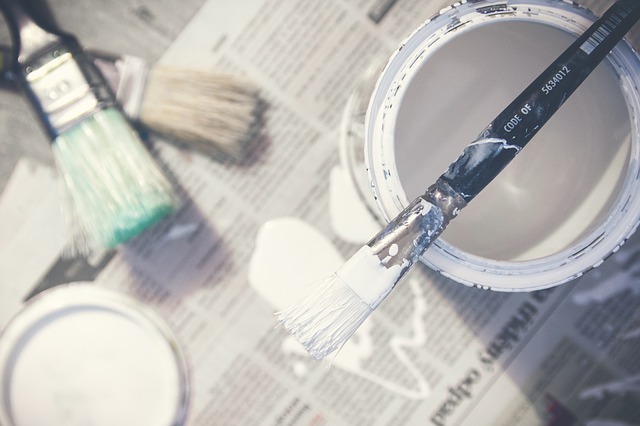 Here are some of the key steps to get started with a home renovation. The first step to any home renovation is understanding the major home renovation that you want to pursue. You may be looking to add some living space to your home by adding a new floor to your home. 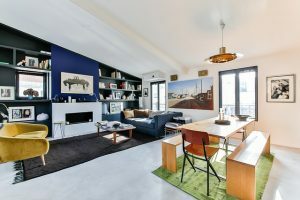 Alternatively, you may be pursuing a major renovation to a kitchen or living area or simply looking to renovate the entire interior of your home. The first step should be to define the scope of your project and have a clear idea of what you are attempting to accomplish with your major home renovation. Once you understand the major home renovation that you are attempting to pursue, you will need to develop a budget and save for it. 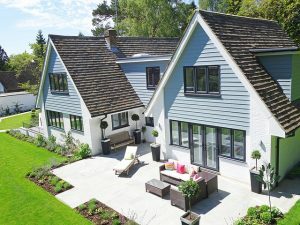 Start by researching what the cost of a similar renovation would be in your area. The internet is a great resource for this type of general research. 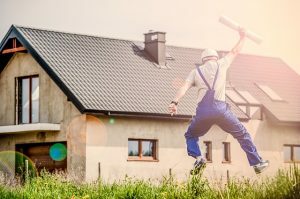 As you begin to approach the commencement of your major home renovation you can start to get bids from contractors who would be able to provide you with a more accurate estimate of the cost of the major home renovation. Be sure to get at least three separate quotes for home renovations and use this as a gauge for the final cost. 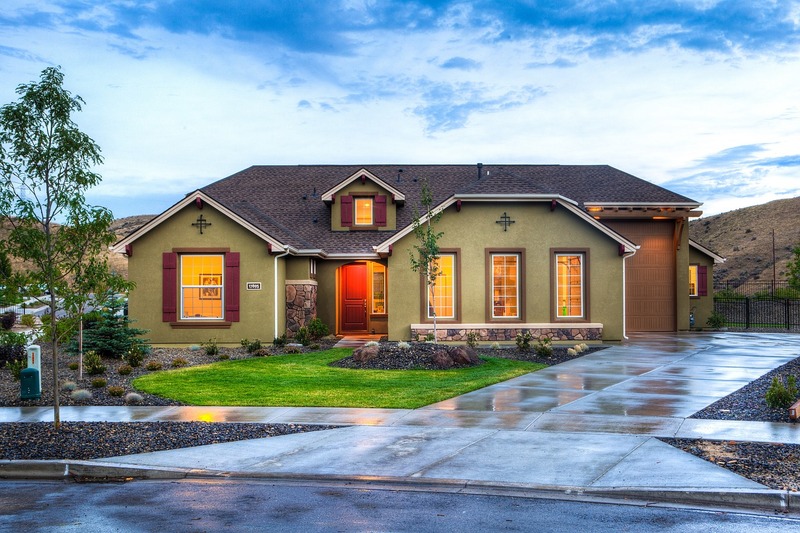 Be sure to save regularly to put together money for your home renovation. Be sure to save at least 20% more than the quote you receive. For one, you will need to put aside some additional money for new furniture and decorations for your newly renovated home. In addition, you will want to have some cushion for any overages from contractors or due to any major problems that may be found as part of the home renovation. It is better to be safe than sorry. 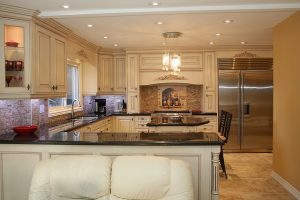 Given the nature of a home, it is good to set a part of your pay check for home renovations and then put aside a little extra when you have a major home renovation coming up. Try to avoid piecemeal home renovations, if possible, and save to have the work done all at once. This way, you can avoid having the work done in a ramshackle way. Unless you are particularly handy, you will need to find a contractor to assist you with your major home renovation. While major home renovations will typically require a number of different contractors such as electricians and plumbers, you are often better off finding a general contractor who you contract with who will then sub-contract amounts out to the various individuals that they need to use. This way, you can avoid having to contract with many different specialists and avoid having to worry about how well the various contractors work together. Let your general contractor handle this process. Find a general contractor who has a significant amount of experience tackling the size and scope of the renovations that you are pursuing. Look to see that they have the time to devote to your project and the resources to handle the project. In addition, obtain three or more bids and make sure that the quote that they are providing you with is reasonable for the major home renovation that you are pursuing. Undergoing a major home renovation is a major inconvenience and often overwhelming from the start. Consider the aforementioned items to get started and put your renovation on the path of success.